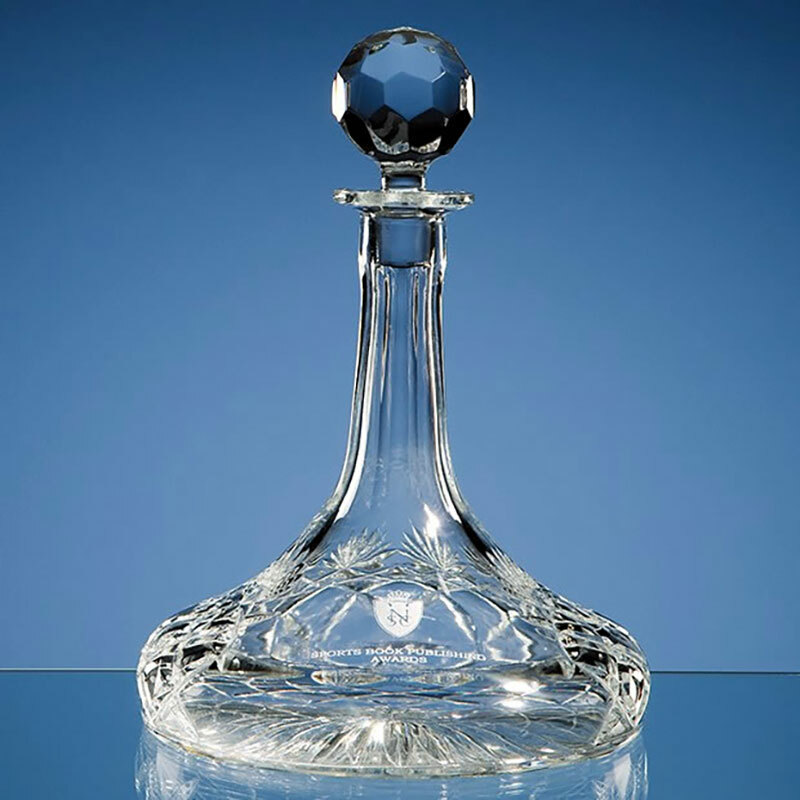 Lead crystal traditional ship's decanter R6, with handcut decoration and a blank panel for engraving. Ideal as corporate awards or presentation items, offered with low, fixed-cost text engraving and free logo engraving. Capacity: 0.75ltr. A traditional ship's decanter complete with round stopper, ideal for engraving as corporate gifts, recognition awards, or personalised gifts for landmark achievements. These 0.75ltr decanters are handmade in lead crystal and feature handcut decoration across most of the body, with a blank panel for engraving. They are offered with low, fixed-cost engraving of text and free engraving of logos. Originally designed for use at sea, the shape of a ship's decanter is ideal for allowing fine wines to breathe as they offer a large surface area to the air. 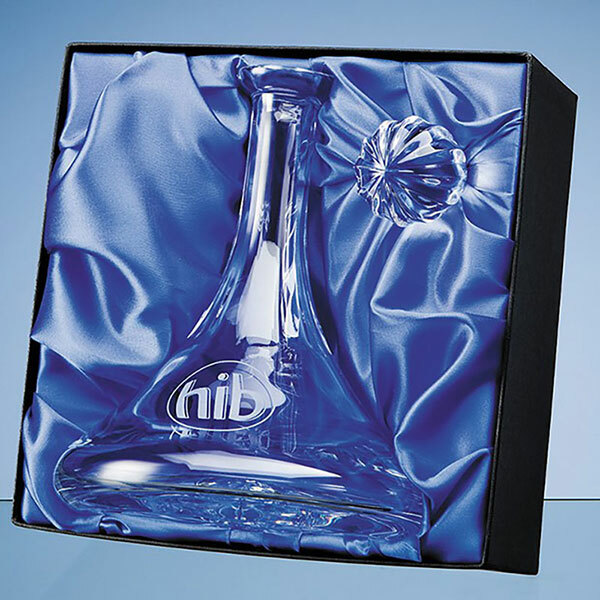 An optional fitted and fully-lined presentation box is available for your engraved ships decanter. Capacity: 0.75ltr. Weight: 2.2kg. Height: 285mm. Dia: 200mm. We bought this decanter as a gift and were delighted with it. It is good quality and the engraving really made it. It would be nice to get one for ourselves! Excellent customer service and a first class product at a reasonable price. Had some minor trouble with the DPD delivery, but Crystal Awards took care of it efficiently. Very happy! Buy ships decanter for brother's 60th birthday and he was over the moon!! Excellent Merchandise with good engraving.